Display your refined taste in the stylish serveware collection with this Panda bowl from Ivy. Enjoy your favourite food in a sophisticated way by opting for this bowl. It flaunts a beautiful structure that makes it look stylish. Moreover, it is quite easy to wash and maintain, owing to the good quality material that went into its making. 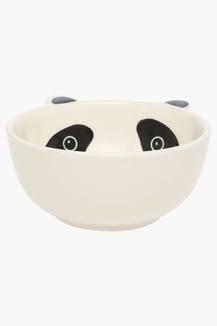 Portray your refined taste in the stylish serveware collection with this bowl and fetch compliments.